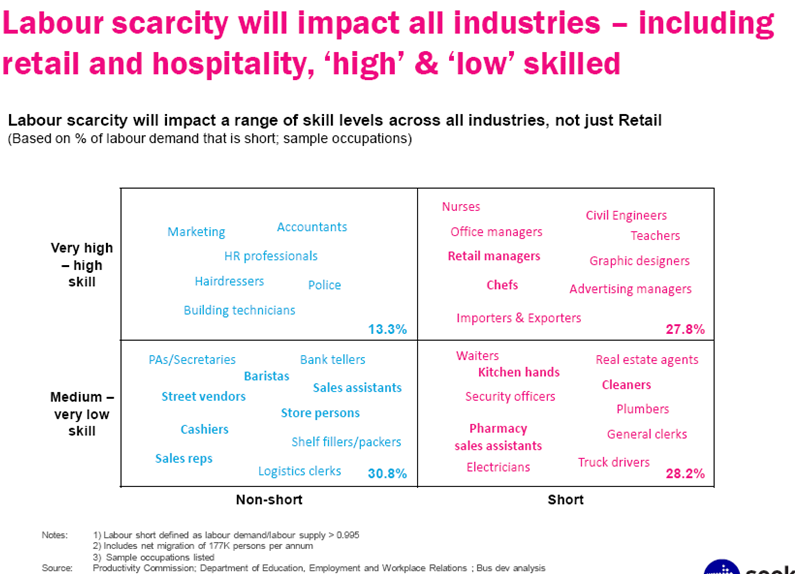 itsallaboutretail.com: The War for Talent – Its not Blah Blah, it’s real! If you’ve read any of my previous articles then you’ve heard me talk about “The War for Talent”. And as we know wars are not won in the short term, Wars are strategized, planned and staged over long periods of time. The ‘Art of War’ by Sun Tzu has been applied to many fields well outside of the military. Much of the text is about how to fight wars without actually having to do battle: it gives tips on how to outsmart one's opponent so that physical battle is not necessary. As such, it has found application as a training guide for many competitive endeavours that do not involve actual combat. 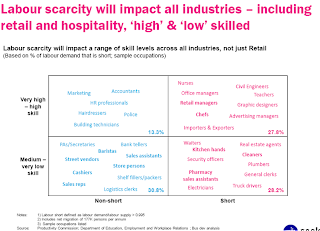 Part of winning the battle is doing your research and reacting to these findings, Seek is the dominant on-line job board and regularly undertakes extensive research to understand the market so that they can implement their own strategies against their competitors and from this have identified what the future holds and it aint pretty! 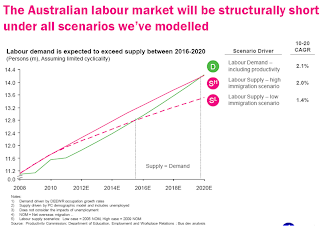 Seek have identified that by 2016/2020 the labour demand is expected to outweigh supply; particularly for Retail Managers. 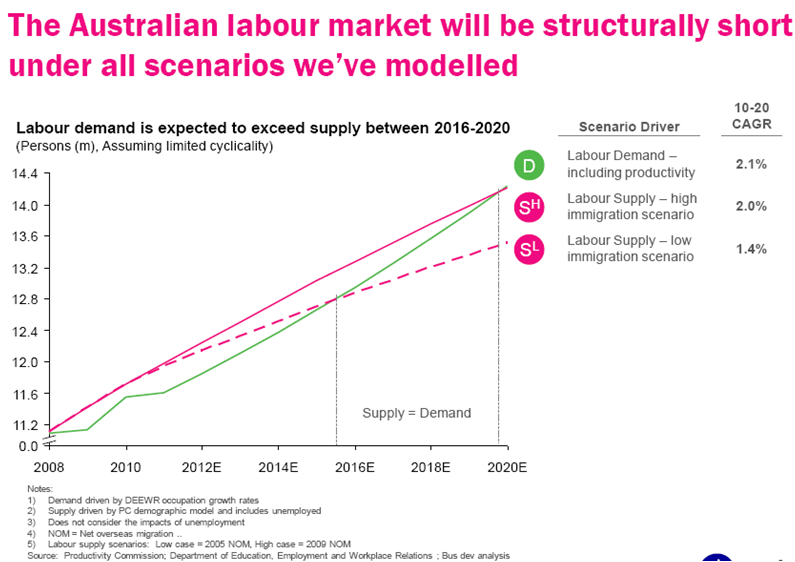 The graphs below show the AU labour market figures, along with the jobs that are expected to have excess and surplus candidates. Although it may seem a long way off, the best businesses are planning today for what will happen tomorrow and in the years to come, smart retailers are developing strategies for attracting and retaining the best talent and it is this long term approach that will help our economy and business in the short term as it will stimulate the growth and consumer and business confidence we need to drive our economy forward. Sorry about the graphs! If you click on the image, it will bring them up full screen so you can see the details. So, how much are we really paying?